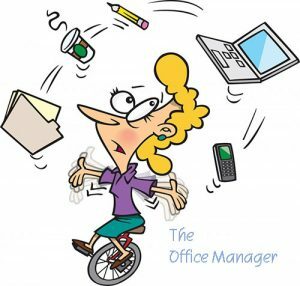 Author AdministratorPosted on January 24, 2018 January 24, 2018 Categories self stick dry erase boardLeave a comment on Office Managers: Get the Credit You Deserve and Be a Hero! We’re never really sure what to believe when we watch the news these days, and when it comes to the economy and taxes even the accountants are confused. Congress passed and the president signed a new tax reform law right before the end of 2017 and most taxpayers are still trying to figure out how it will affect them personally. One aspect of the law concerns teachers who buy school supplies for their classrooms using their own money. In a perfect world every school district would provide all the supplies needed for each classroom, but that is sadly not the case. Teachers often have to dip into their pockets to buy things the school doesn’t buy and the ability to claim a tax deduction has allowed them to recoup at least part of those expenses. 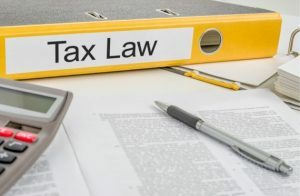 Rumors were swirling that the deduction would be eliminated in the new tax law, but it managed to escape being cut. Beginning in 2018 teachers will be able to deduct up up to $250.00 from their taxable income for school supplies they buy with their own money. We have worked with schools and school district for many years and we do our best to keep our prices low because we understand the reality of tight budgets. Teachers as well obviously have limited money for school supplies and we admire their dedication to students and their community. We applaud the lawmakers who kept this deduction available for dedicated educators and we pledge to do everything we can to keep our prices low, our product quality high, and we will always deliver superior customer service to all our customers. 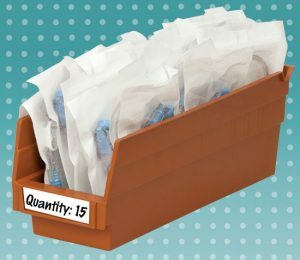 One of the biggest challenges we all face is staying organized, and while almost everything these days is online we still have items we store in bins, boxes, and shelves. Businesses have inventory to keep track of and households have personal property. 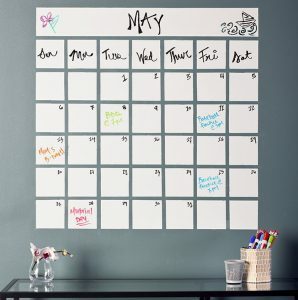 We have rolled out a new product that is perfectly suited to help you stay organized: Go Dry Erase Dry Erase Tape, and it’s featured on our website now: Click Here. Versatility is one of it’s best attributes. 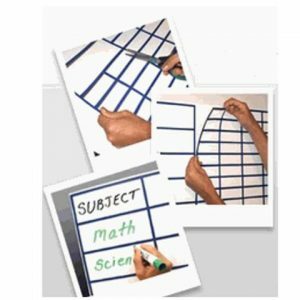 Dry erase tape is designed to be easy to cut to the size needed and it adheres to almost any surface. It can then be marked with a dry erase marker so it’s easy to see. 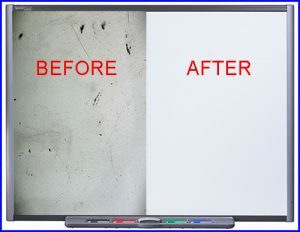 The special advantage for a dry erase surface is that you can quickly erase and re-write on the tape as you change the contents of your storage container, cabinet, etc. This product is easy to cut to the size you need and erases cleanly. Measuring 2″ wide by 5 yards, one roll of our new dry erase tape will yield 60 individual 3-inch pieces! And because it’s used over and over again it will save on buying lots of labels. And please check out our Write with Attitude dry erase markers. They’re brighter, bolder, and longer-lasting than the leading brands. There is software for virtually every industry today. Law firms have case management software, doctors have patient management software, and even farmers have…..farm management software. Often the people who use these software programs are in different locations and there is online meeting software so everyone can see the same screen and speak to each other. But there is really no substitute for an in-person conference room meeting when everyone can see each other as well as focus on a dry erase board to lay out goals, plans, and results. Everyone on the same page. Law firms are some of our best customers because they like to gather attorneys in one place to discuss case reviews, strategies, and plans for putting together presentations for court. The advantage of a whiteboard is that everyone has an opportunity to add, and write, their contributions. One issue is: Where is the dry erase board located? It’s in the conference room, and the conference room is reserved! Where can we have our meeting? 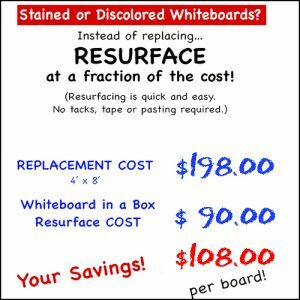 Whiteboard In A Box is a self-stick adhesive dry erase surface that performs just like any other whiteboard, except it’s just cheaper, easier to install, and totally mobile, unlike a conventional, heavy dry erase board. It can be placed on any smooth, flat surface like a wall or a table and it does no damage to the underlying surface. 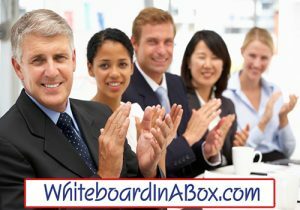 Many of our customers keep several rolls of Whiteboard In A Box in their supply closet and when the need arises they’re ready. We’ve heard about Whiteboard In A Box being used when space is limited by people in hallways, break rooms, and even once in an elevator! It’s also great for calendars, schedules, and tracking! When you’re shopping please check out our markers, erasers, and cleaner. All are superior in quality to the leading brands you see at the big office supply stores. 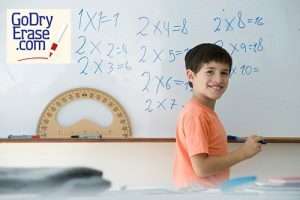 Whiteboards have become an integral part of today’s classroom. Not only large boards on the wall, but smaller, individual boards have proven their value permitting students to work independently. 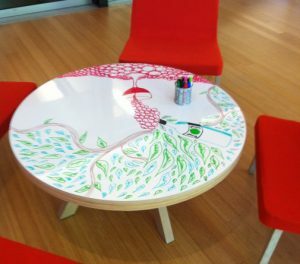 Flat dry erase surfaces on table tops allow groups of students to collaborate on projects. Imagine the cost of replacing all those items in a classroom, and then imagine the cost in many classrooms. Yikes! 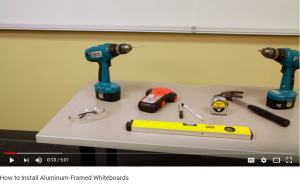 Now imagine being able to re-surface all those whiteboards with one easy to use, neat, self-stick product: Whiteboard in a Box. Classrooms will look shiny and new when students come back from their summer breaks and the cost is small compared to buying new boards. 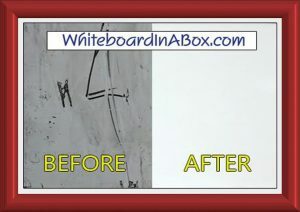 Whiteboard in a Box comes in rolls ranging in size from 4’ by 5’ up to 4’ by 75’ and several in between. The large roll could conceivably cover several classrooms depending on the layout. 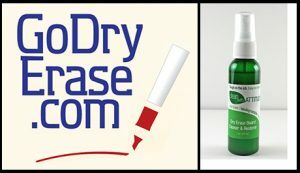 Visit us online www.godryerase.com or call us at 941-474-1991 and we’ll be happy to answer any questions. When you’re making a sales presentation, you should be telling a story. People relate to stories, which is why we read novels and watch movies. Tell a story about how Product A changed someone’s life, and then you’ll have the attention of your audience. Tell a story about how Product A made someone a lot of money and you have their total focus! Important: If you have any printed materials to hand out, try to wait until the end. Those can distract from your message. Now, you may not be a trained animator, but when you use a visual aid like a dry-erase board, you can use color and your imagination to tell your story. 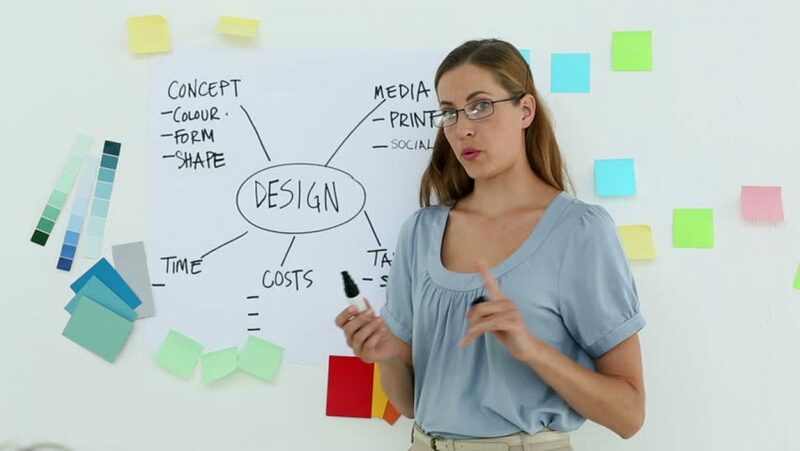 Draw a picture of your product or of something to represent your service. It doesn’t have to be perfect, in fact a bad picture might lighten things up. Use colors, shapes and movement to build on your message as you speak. Find ways to convert your message into pictorial and imagery formats. Ask your audience for assistance. See if they have ideas about other uses for what you’re selling. An interactive group makes the whole experience more enjoyable. Reveal information as you talk through your presentation as opposed to present all the visual information at once. Retain control of a document or brochure by turning the pages as you speak, as opposed to handing the document to the buyer. 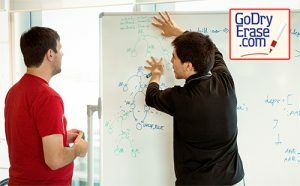 Whiteboard-in-a-Box: A self-stick adhesive dry erase surface that is ready anytime and anywhere to place on a flat surface. It can be cut to any size, it’s easily removed, and it won’t hurt a wall or table that it is adhered to. 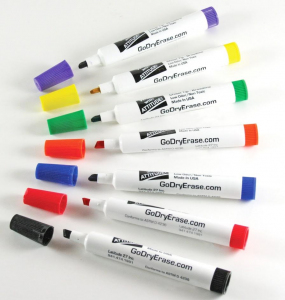 A set of “Attitude” dry erase markers. These markers are bold and bright, and they’re made in the USA. They last longer than the leading brands and they glide smoothly across the board. Easy to clean, too. It’s a good idea to practice your sales presentation with friends before the actual event. This can reduce stress and help you feel 100% prepared.